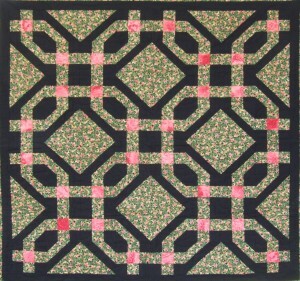 Considering this quilt top comprises of only 3 fabrics the effect is quite dramatic. 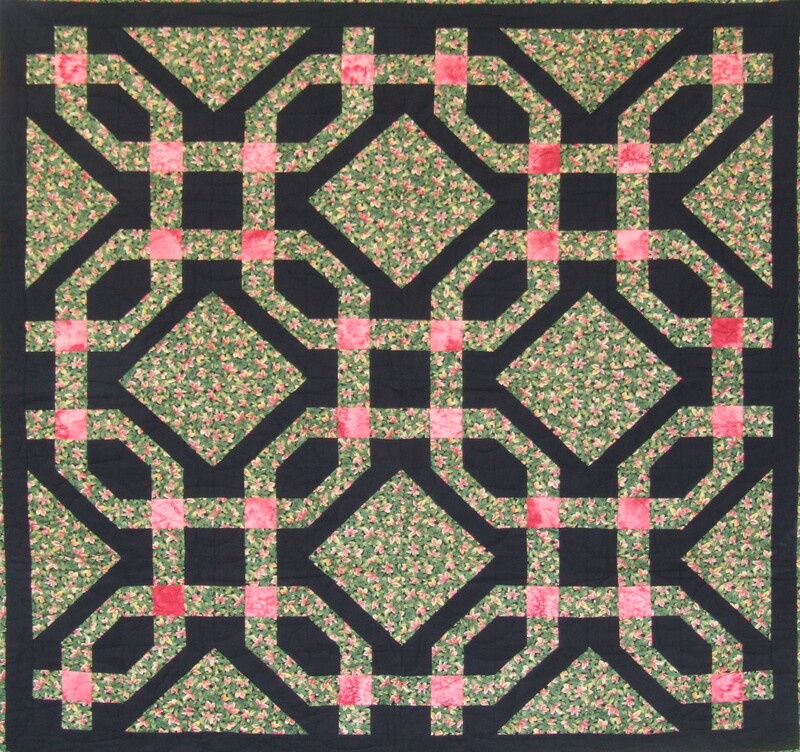 The black and salmon sashing highlights the ivy leaf fabric which incorporates both black and salmon along with green and shimmering gold. Whilst only a relatively small quilt it certainly makes a statement. 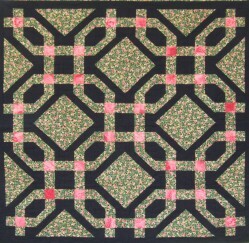 The backing fabric is a leafy design on a black background and the quilt stitch is a heart swirl design.